Isiah Factor | The Insite » WHY DO FAST FOOD JOINTS EVEN HAVE THAT FIRST WINDOW! 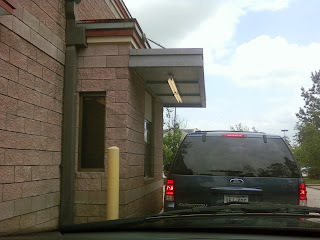 WHY DO FAST FOOD JOINTS EVEN HAVE THAT FIRST WINDOW! 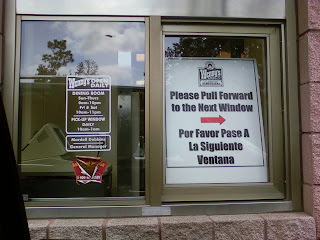 April 29, 2009 | Posted in Uncategorized | Comments Off on WHY DO FAST FOOD JOINTS EVEN HAVE THAT FIRST WINDOW! SHOULD THERE BE ONLY 1 WINDOW? If you’ve pulled into a fast food drive thru it’s likely you’ve noticed it. That useless first window tends to be nothing but decoration for the business. There’s always some sign indicating we should drive to window #2. Why even create window #1 if you’re never going to use it. There are some rare occasions when there is a lunch rush and that dormant first window is used. Do you think all restaurants should just get rid of that irritating and useless window #1. The Insite would like to hear what you have to say about this!